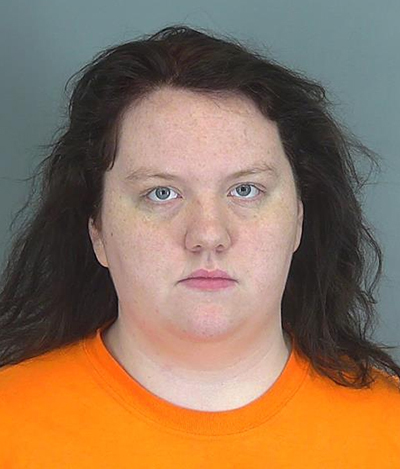 In a case tinged with prevention and regret, a South Carolina woman was arrested yesterday for stealing condoms and a pregnancy test from a store where she recently worked. Packaging for the items--valued at $31.21--was later found in the women’s restroom. When Trent returned to the store yesterday afternoon to collect her final paycheck, she reportedly copped to the theft when questioned by a store manager. Trent, seen above, was arrested for theft and booked into the Spartanburg County jail, from which she was released around midnight.